Thank you for shopping at the Club Brugge Football Shirts and Accessories shop at Soccer Box. 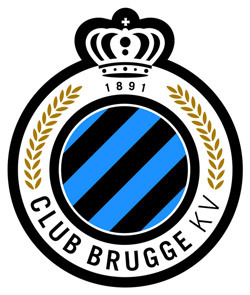 Club Brugge is one of the oldest teams in Belgium and plays in the Belgium Pro League. Club Brugge has participated in league and European football tournaments, ensuring that the Club Brugge football shirt is a popular choice. Club Brugge is one of the most successful clubs in Belgium. The team has a large local following and within Belgium the Club Brugge football jerseys are one of the best selling football shirts. Whether you live in Belgium and attend the game, or anywhere else in the world you can show that you support Club Brugge with football shirts and accessories from the Soccer Box shop. Order your Club Brugge football shirts and accessories online now for fast international delivery! Club Brugge currently plays in the topflight of Belgian football the Belgium Pro League, although they have spent periods in lower leagues. They have been crowned Belgium Pro League Champions 13 times, their last success was in 2005. As well as league success Club Brugge has had more European success than any other football club in Belgium. The Club Brugge football jerseys have appeared in 2 European finals although have not won the title to date. Appearing in European tournaments has increased the clubs fan base internationally. Club Brugge football shirts, jerseys and accessories can be shipped to anywhere in the world from Soccer Box. Club Brugge plays their home matches at the Jan Breydel Stadium. Match days are a sea of black and blue stripes as the home fans turn out in their masses to wearing the Club Brugge football shirts and jerseys to cheer on the team. The stadium has a capacity of 29,472. The chanting and support is never more fierce than during the Bruges derby against Anderlecht. The Club Brugge fans are fiercely loyal to their team; show your support with team football shirts, accessories and merchandise now. Puma manufactures the Club Brugge football shirts. Soccer Box is an official supplier of Puma merchandise. Ordering your Club Brugge football shirt from Soccer Box ensures you are getting the official kit. Add official accessories and merchandise to your order to further show your team support. Club Brugge football accessories are great for showing your support, or why not give merchandise such as the Club Brugge scarf as a gift to any fan. You can shop with Soccer Box for all your team shirts, jerseys and accessories. As well as the Club Brugge football shirts and accessories you can shop for official jerseys and merchandise for a wide selection of teams. Are you a keen collector of football shirts? Well look no further as Soccer Box is your number one shop to find a huge range of jerseys, for an extensive range of teams. Explore our shirt to find your ideal shirt. If Belgian football isn’t for you take the time to browse our store where you are sure to find football shirts and accessories for all your favorite teams. Order your Club Brugge football shirts and accessories while supplies last from the number 1 football store Soccer Box!